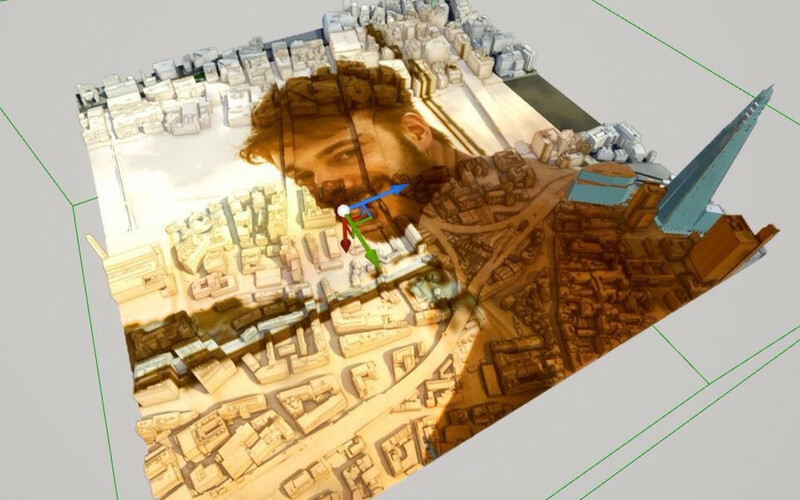 Tile TQ3280SE can be used to evaluate our 3D data, compare Levels of Detail, test compatibility or just to play around. 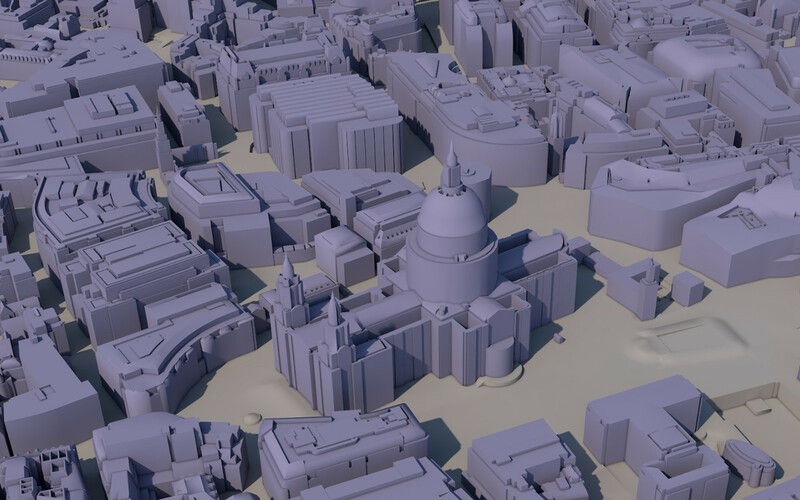 This Sample / Free 3D Model of London can be downloaded in AutoCad solid, SketchUp or FBX format. 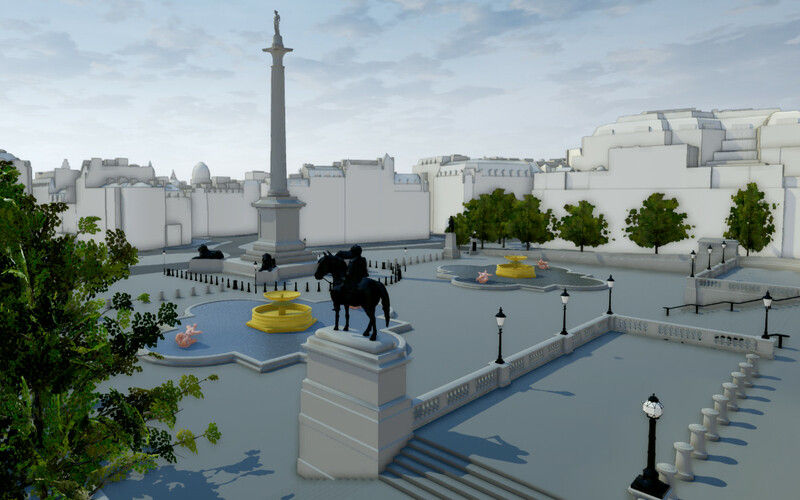 Also available as UE4 Project files as well as Interactive 3D Model (EXE file). 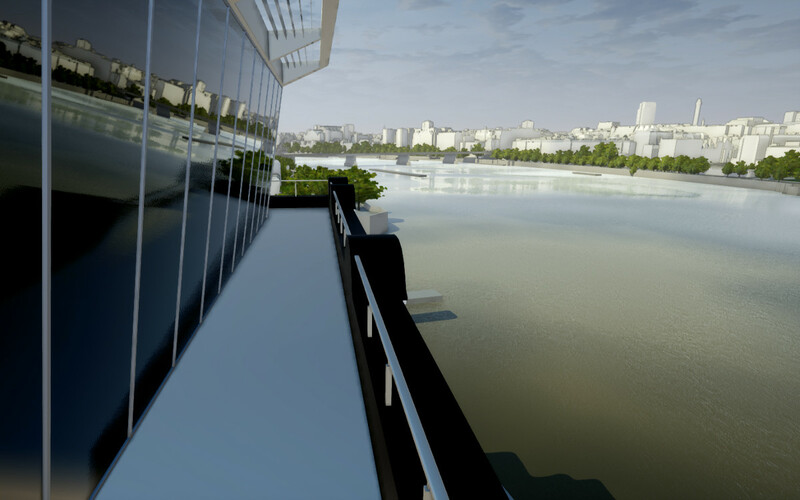 Every Level of Detail is available in every format. 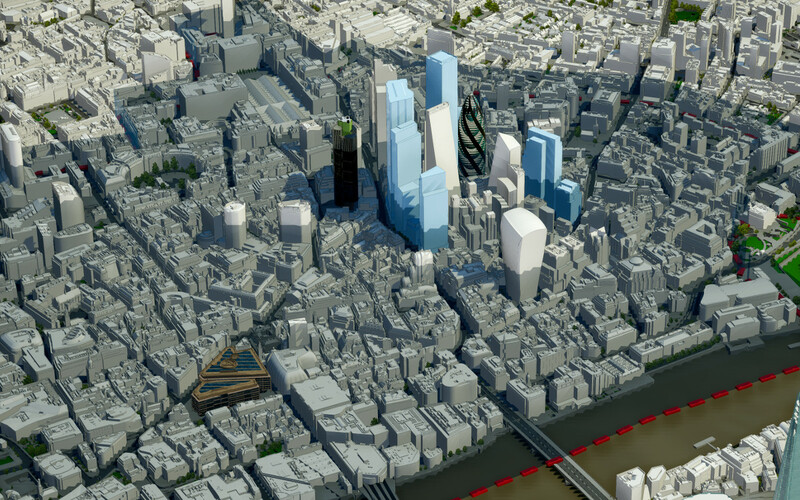 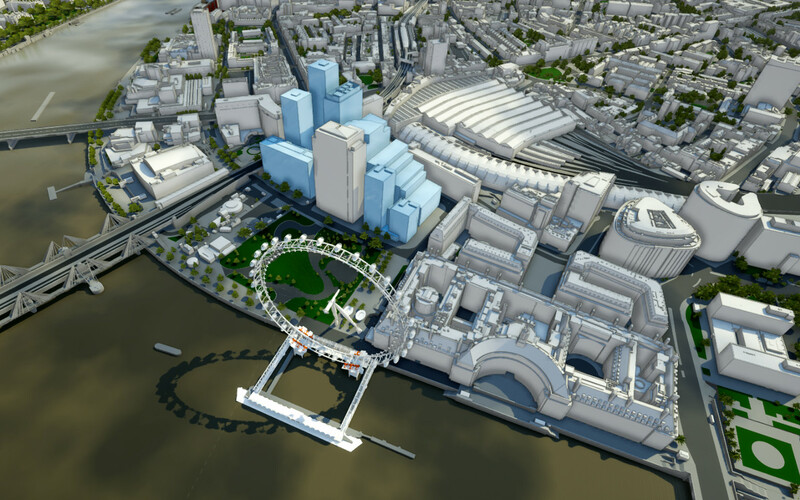 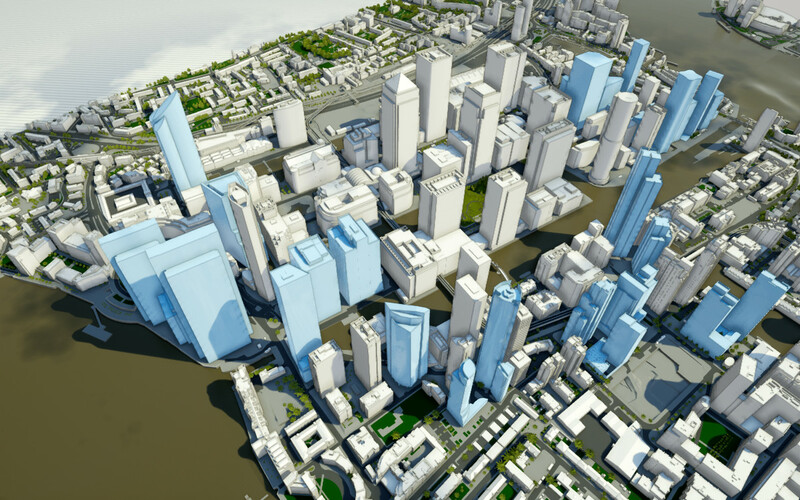 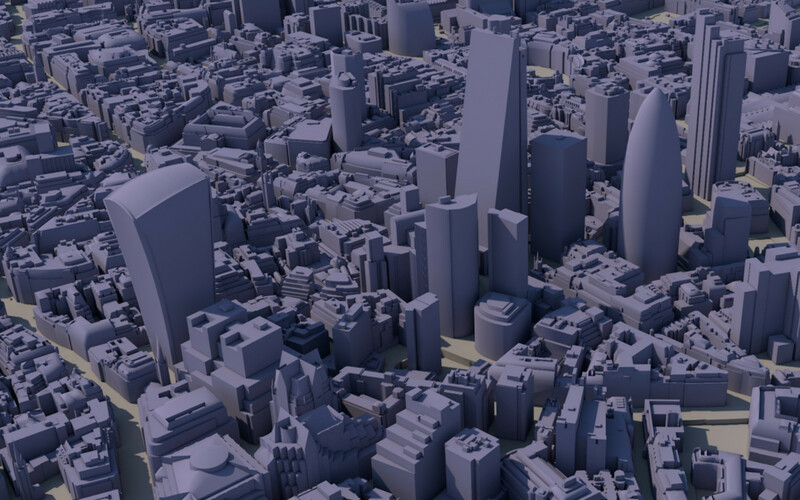 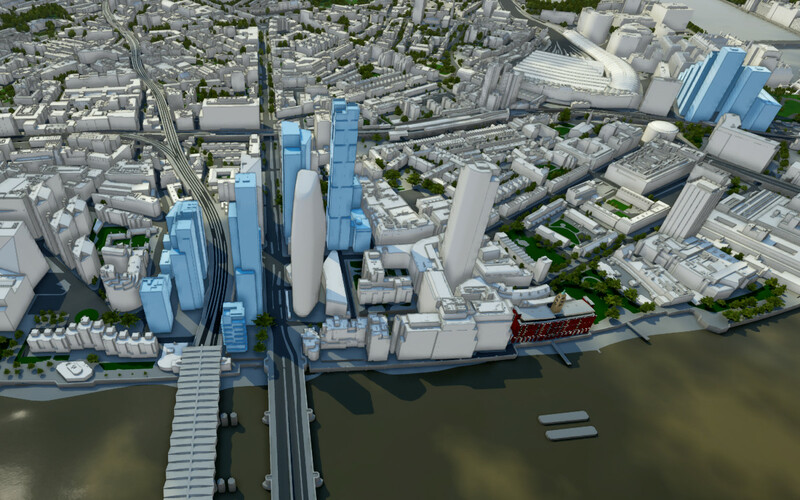 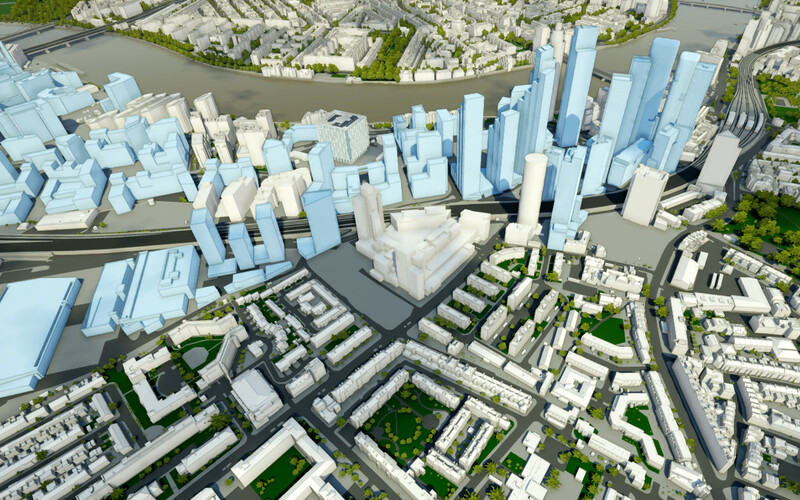 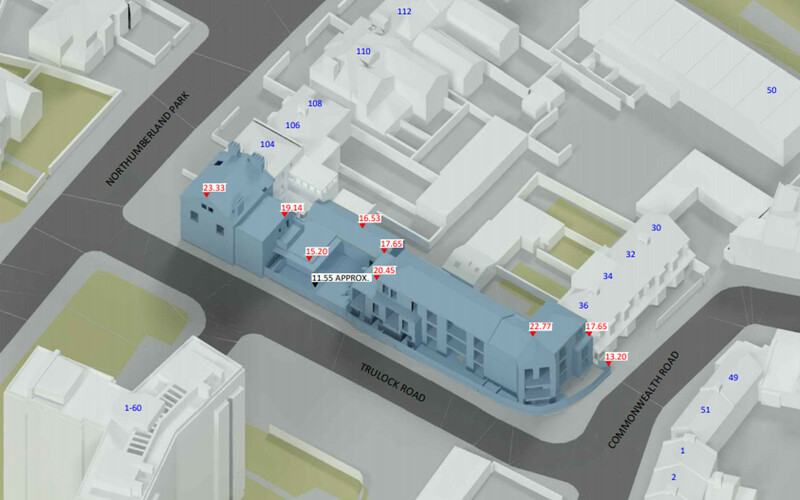 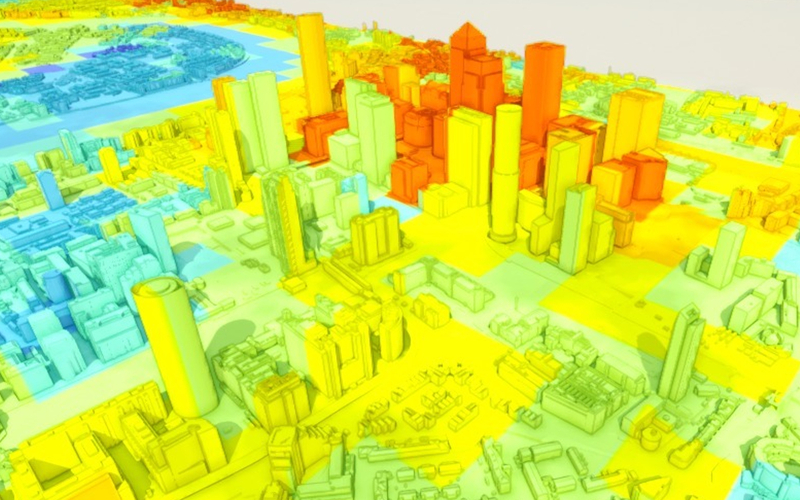 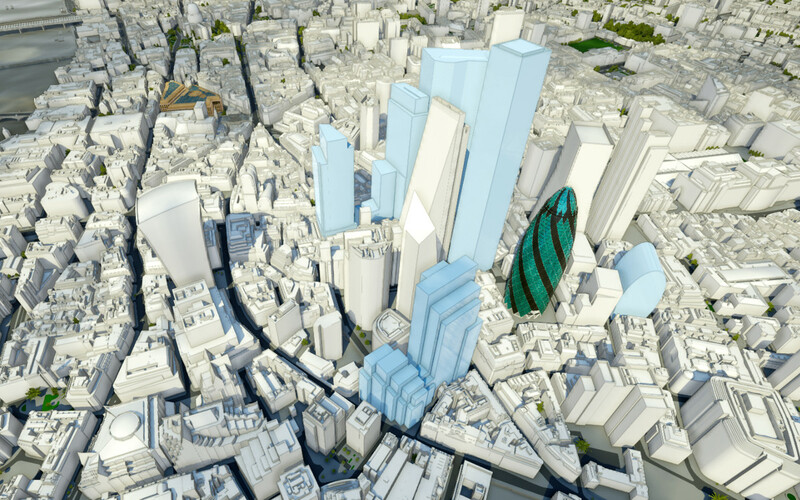 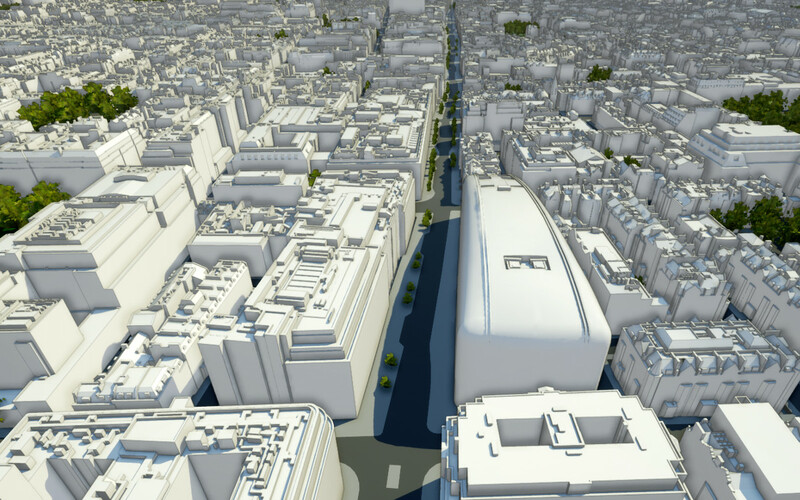 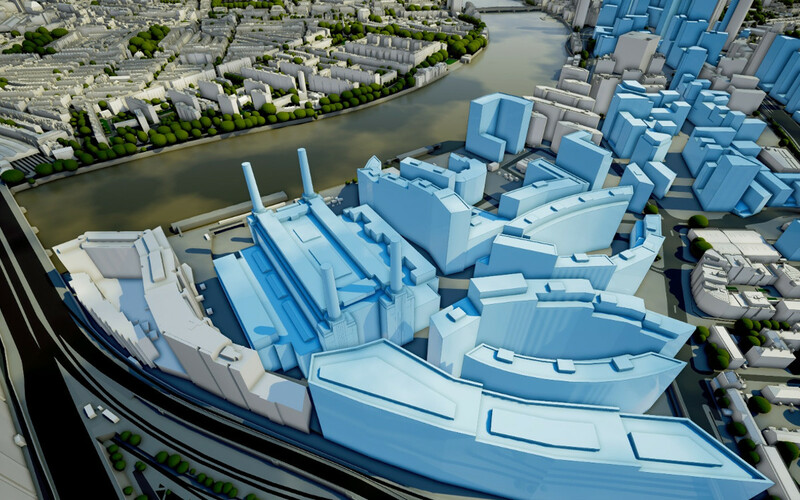 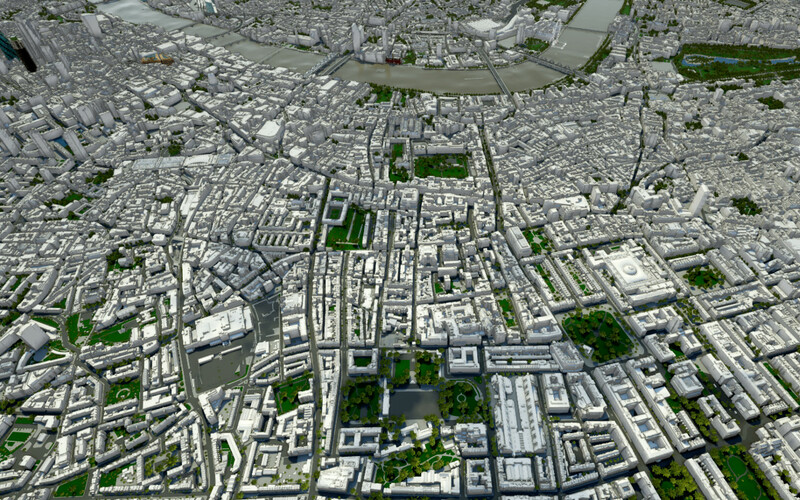 Before you download this Sample 3D Model of London, please make sure that you read our EULA here. 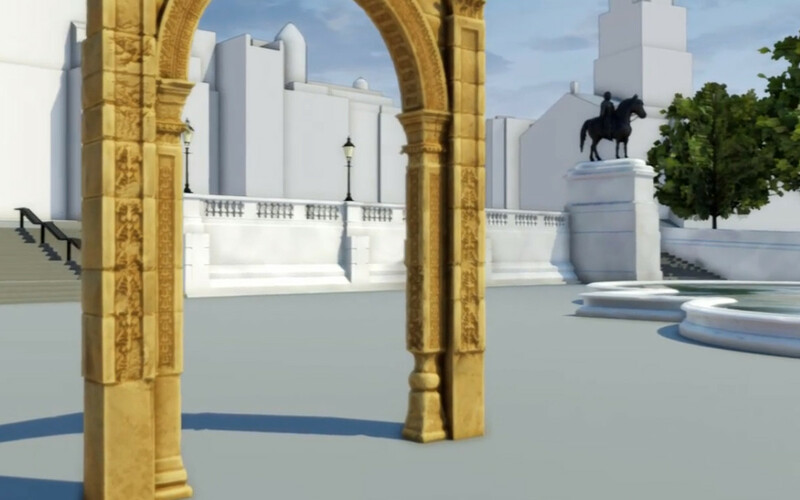 Once you fill in your name and email you will get access to download link. 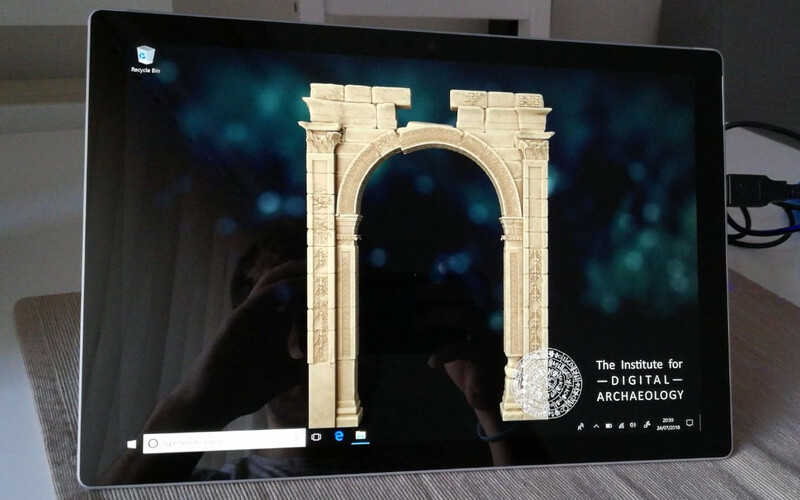 Problem to Download or Install? 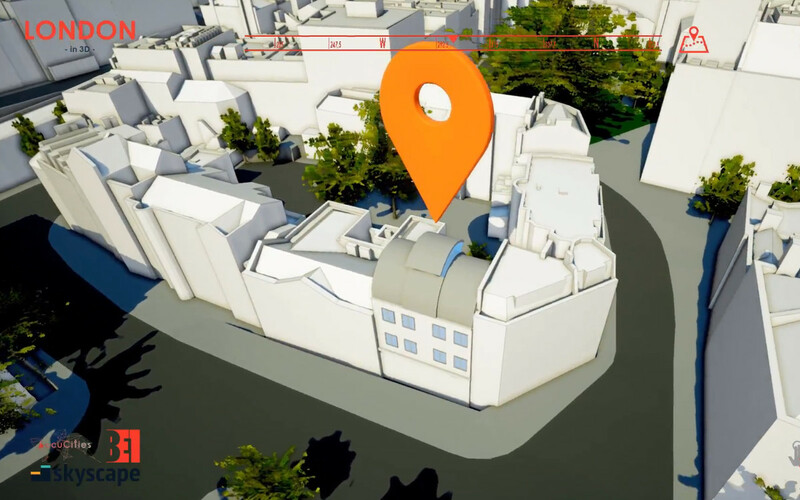 Click Here for Onlie Samples. 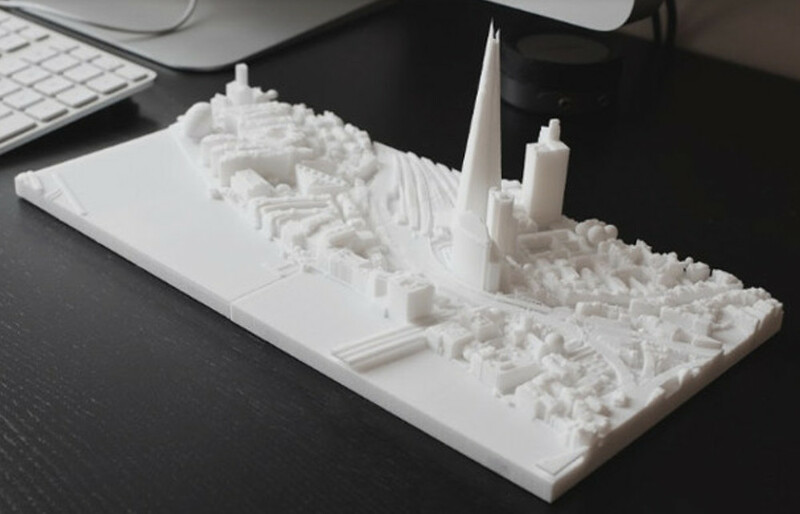 I would like to download Sample 3D Model. 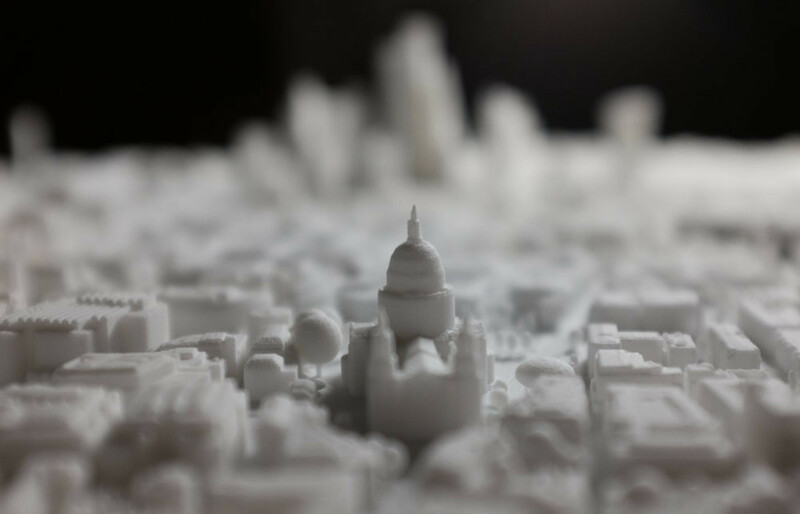 I have read and agree to Sample 3D Model EULA. 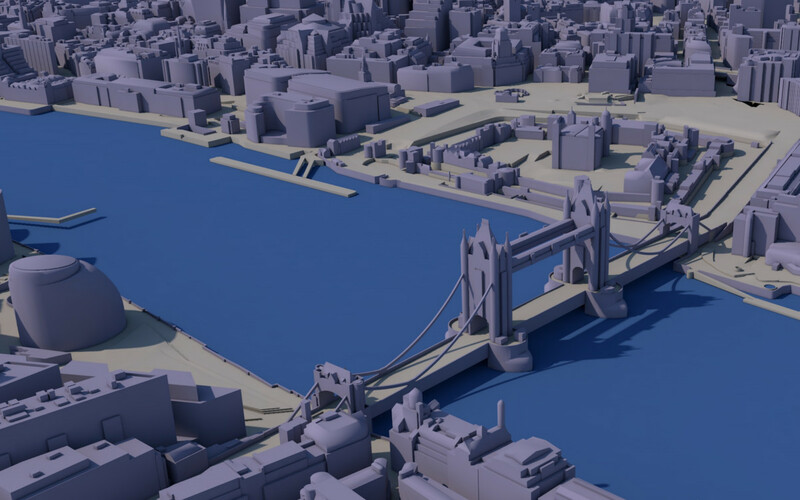 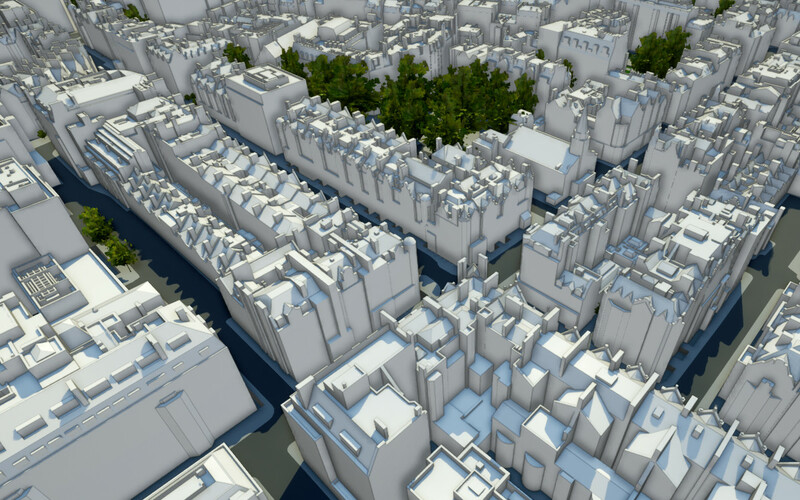 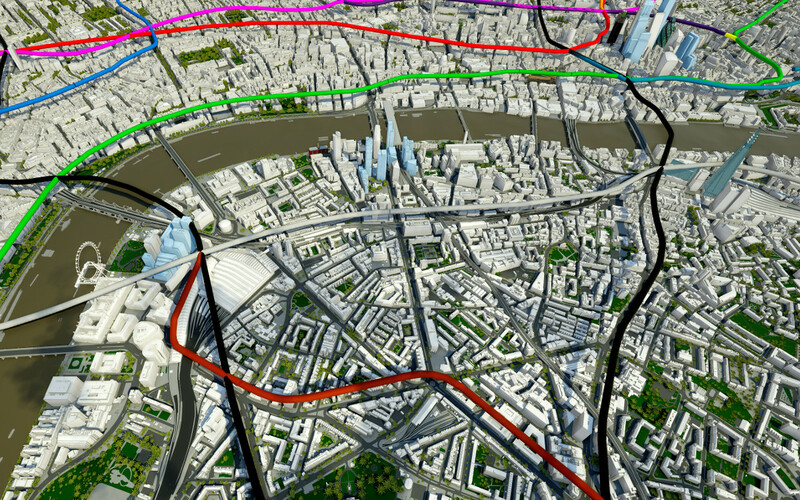 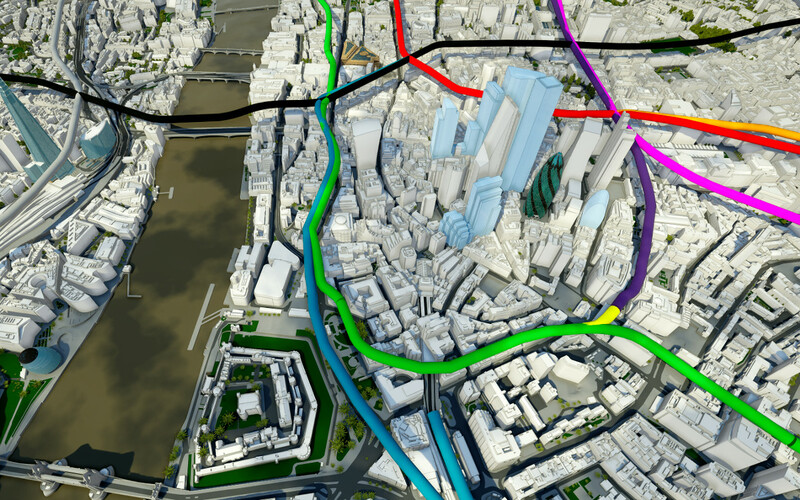 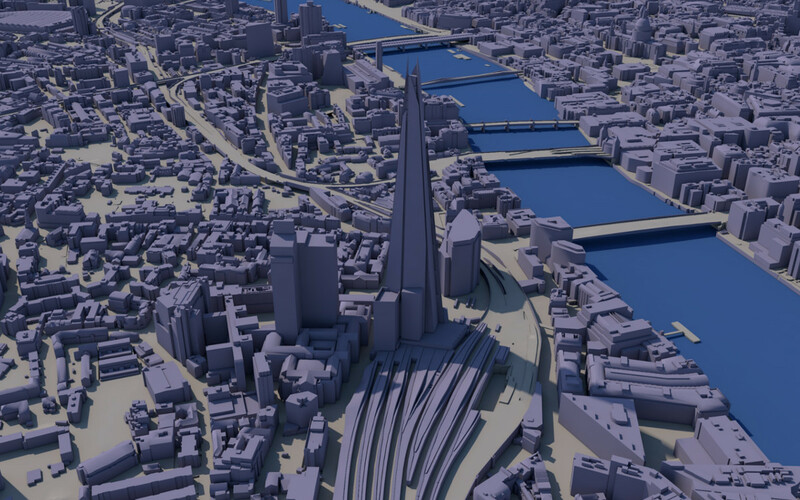 3D Model of London in UE4 app can be overlay with almost any open source, private or commercial datasets. 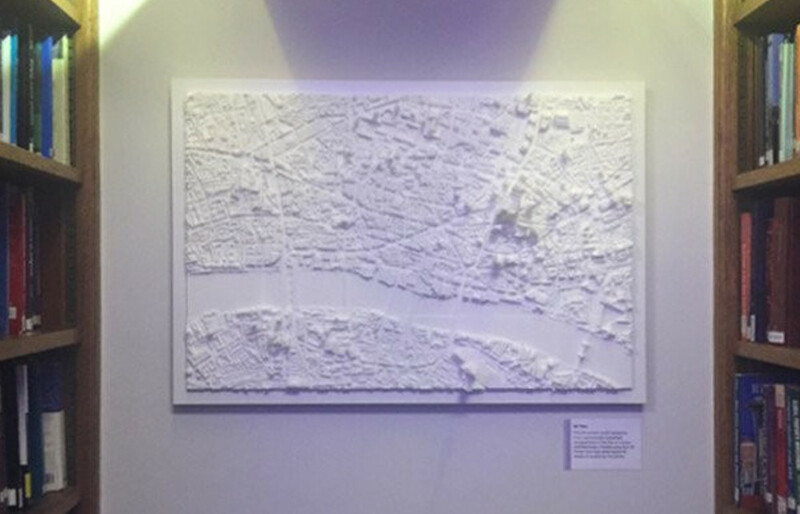 Our 3D Printed baby: 24 tiles (6 square kilometres) of our Level 3 3D Model, skilfully 3D Printed in London using professional 3D Printers. 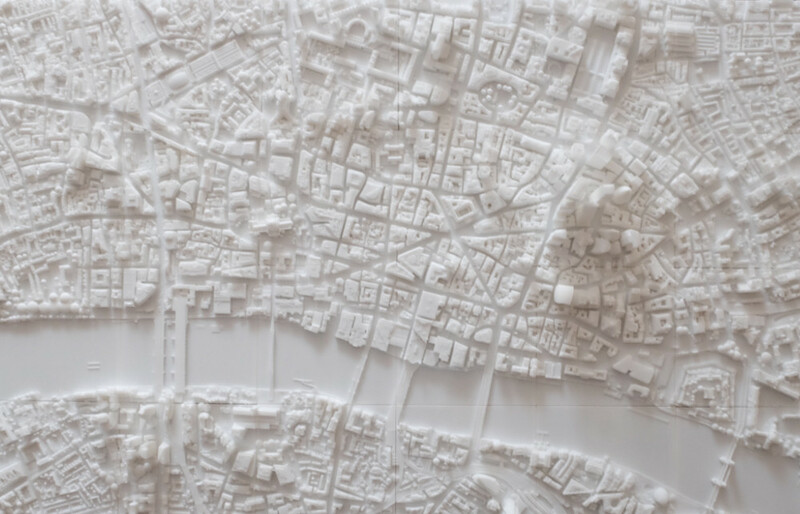 Tiles are fully modular and can be easily attached to each other using built-in magnets, hung from a wall or left on a table top as a contemporary decoration. 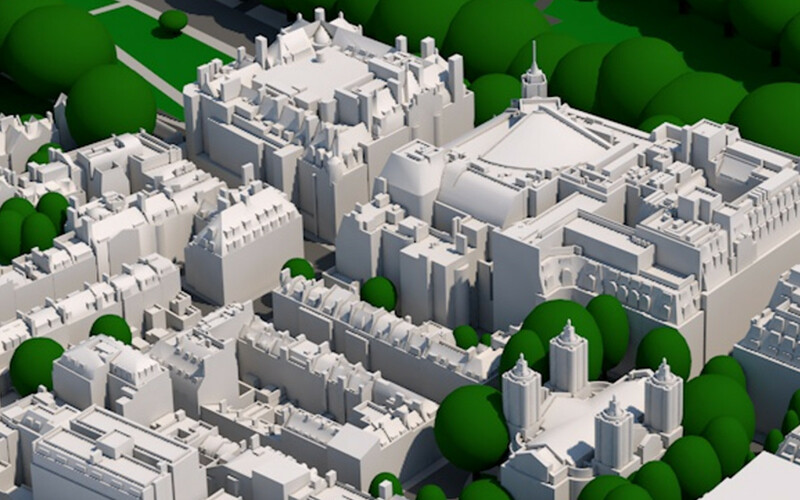 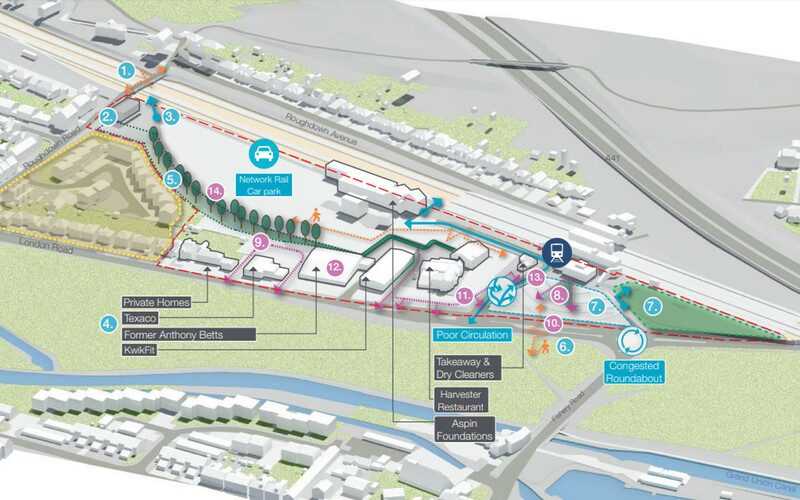 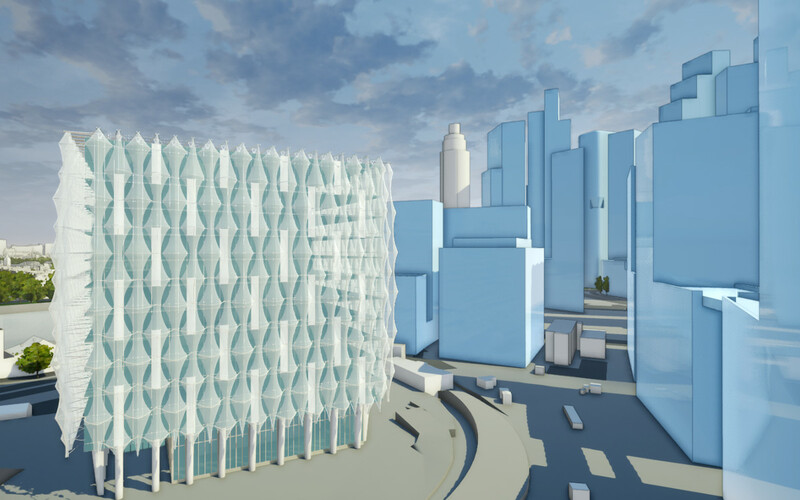 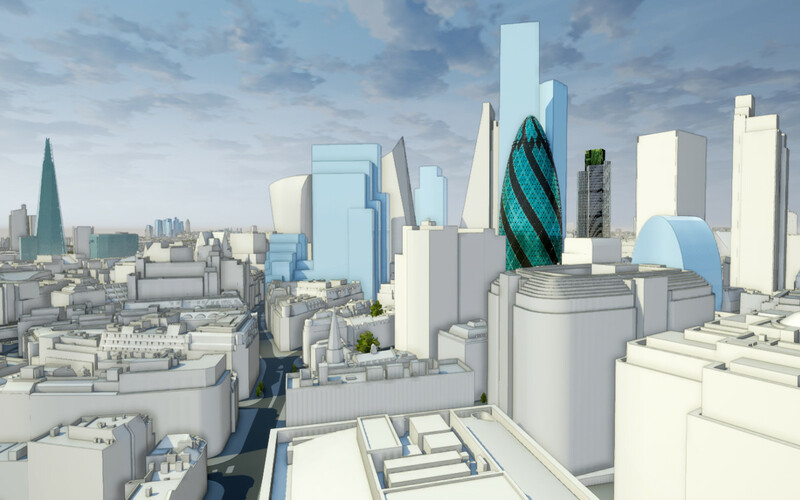 This 3D Model has represented AccuCities at London Built, RICS, UK Mapping Festival and even at the UN in New York.